I have the N70 for 2 months now, and it's a very interesting phone. I've got a 1gb card and it works perfectly. I have about 200 songs, and when I turn on the music player on the phone it takes along time to upload, but it's normal. I think is a very good phone, but not for someone that only wants to make and receive calls, and send messages. How do you change the regional settings on the phone? hmm, you got me a bit confused but technical specs wise; N70's maximum video resolution forms 352 x 288 pixels compared to Nokia 6280's 176 x 144 pixels which is both in MPEG4 format. The 640x480 resolution most probably refers to 3GPP format which is usually for video calls and is the same resolution for both the N70 & Nokia 6280. I am using nokia 6280 now,it has 640*480 resolution, so the video is great.. I am planing to buy N70, but I want to know wether N70 will also deliver the same video resolution..
very professional phone mate!!! fantastic....cheers mate!!! I use to have a Nokia 6320! What a great phone that was. The N70 - please people don't waist your time with the N-Series, it is overrated! Seems like Nokia has gone back in time with the N-series. This phone has so many features that you don't use, and the features you need it doesn't have. Simple thing that usually comes standard was taken away. Auto lock - it doesn't exist in this Phone. Go into Menu - Messaging - Options - Settings - Email... configure the settings for your existing email account and you will then be able to read your emails from your phone. If you want to synchronize your emails to a PC or laptop that is not connected to the internet, i suggest that you use the phone as a modem. 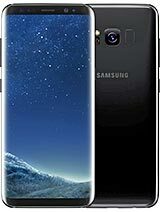 this is a good phone i have it just a week and im enjoying every single minute of it... i could even watch live tv on it...can somebody tell me about how can i send and recieve e-mails from my phone? Thanks every comment will be highly appreciated. Hi,I have N70 past for the 2 months and the only problem with this phone is Speeed.It takes a while to go from one page to another.